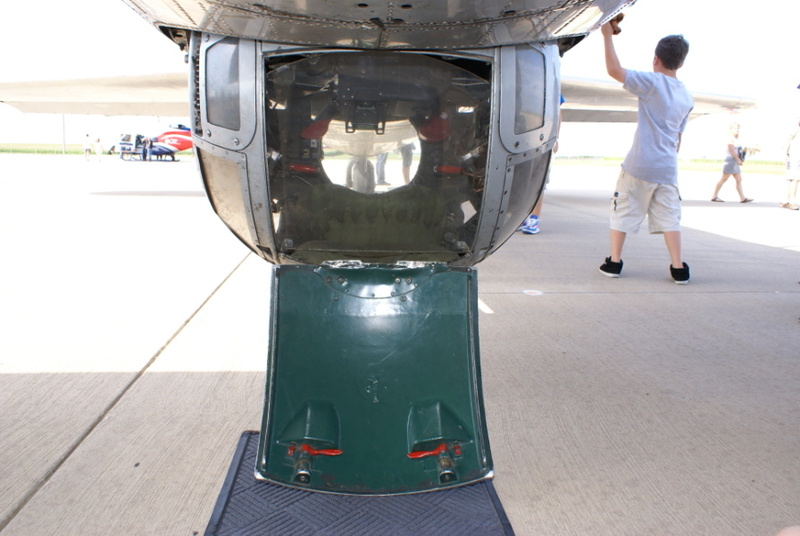 Overall walk-around of the plane's ball turret. This photo was taken after one of the flights, when the ground crew opened its entrance door. Note the Plexiglas panel which covers the opening.